You’ve made the decision to get braces, or at least, you’ve decided to start talking to orthodontists. Great! You’re on the way to getting a bright and shining smile! You’re going to need to stay well-informed about everything that’s going to happen during treatment, and this first step in your teeth-straightening journey is a very important one. Below are 10 questions you should ask at your first appointment before beginning any sort of treatment. What is your orthodontic background? You’re going to putting complete trust in this orthodontist, so you should definitely ask about their education. Where did they go to dental school? Where did they complete their orthodontic residency? How long have they been practicing? Each orthodontist is going to have different answers, and it is your job to choose the one you’re most comfortable with. What treatments options do you offer, and what do you suggest for me? Orthodontic offices offer different treatments – some more varying than others. Find out what’s available and keep that in mind. Also, ask them what treatment option they might recommend for you and why. 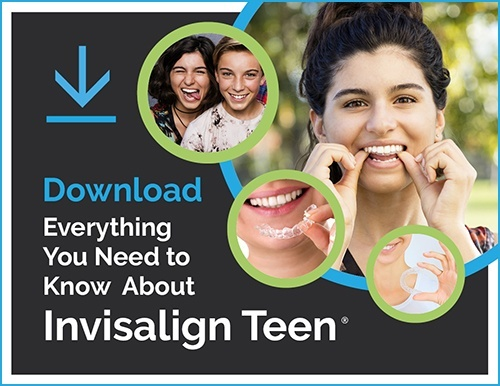 You might be a great candidate for Invisalign, or braces might be your best treatment strategy. A licensed orthodontist will be able to help you with this. Inquire about the price differences for treatment options since this will likely affect which treatment you ultimately end up choosing. What changes will I need to make once I start treatment? Will your diet need to change? If someone has braces, they are warned against eating specific foods, so this is something you should be aware of. Orthodontic treatment might affect your talking and chewing habits, so just be sure to find out about this possibility. Your brushing and flossing habits will probably change too once you get braces. Do you have similar cases to me that I can see? This will help you get an idea of what kind of results you can expect based on your situation and the orthodontist’s procedures. How long do you expect my treatment to take? This is a very important question to ask as it affects you greatly. If your treatment has to be extended for some reason, is that going to cost you more? Different treatment options might result in longer or shorter treatment times as well, so ask! What is my procedure going to cost me? Is this cost all-inclusive, and if not, what does it include? Retainers, co-pays, regular visits, emergency visits, repairs to damaged wires or brackets, or replacing lost retainers are all possibilities that could incur additional charges. Also, ask about financing and payment plan options. Some offices offer interest-free payments or small down payments, so being aware of what options are available is very important. Find out what kind they take, what the procedure is for getting it approved, and if they will help you work with your provider to sort out what will and won’t be covered. Ask how frequently you will have follow up appointments and what their normal business hours are. If you need to go in more frequently for appointments, it would be helpful if their office hours don’t require you to miss school or work every time. You now have a basic set of questions to ask about your treatment to make sure you are making the best and most well-informed decision for you. Your smile will thank you when you’re done with treatment!